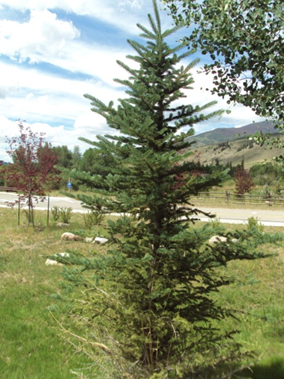 Do you want to give your Vail or Breckenridge trees a fighting chance to look their best and be at their optimal health? You may want to consider a deep root fertilization. This cost effective application gives tremendous results. For newly planted trees, or slowly developing trees – root feeding is a necessity. In the mountains of Colorado, specifically Summit County, Eagle County and Grand County our soils are extremely varied. In addition to the proper fertilizers we also include soil conditioners and mycorrhizae, a beneficial fungus that greatly increases the uptake of proteins and nutrients to optimize the best possible treatment for your individual trees. Timing matters when deep root feeding, when fertilizers are applied it will affect what part of the tree develops. Fertilizing in the spring will accelerate tip and leaf growth and a deep root fertilization in the fall will stimulate root growth and prepare the trees for the upcoming winter. An integrated approach to deep root fertilization will surprise you at its effectiveness. A healthy tree is better able to fend off insect attacks as well as drought conditions, which is very important in our mountain communities. Ascent Tree Services is a company fully committed to the health of your trees. Ascent Tree Services will properly diagnose your trees and offer the appropriate solution. From deep root fertilization to insect and disease diagnosis as well as organic environmentally friendly alternatives, Ascent Tree Services has the experience and expertise to enhance the beauty and value of your landscape investment. Serving the mountain communities of Silverthorne, Frisco, Breckenridge, Vail, Avon, Edwards, Eagle, Gypsum, and others. As an Ascent Tree and Turf Services client you will receive the highest level of professional service, punctuality, honesty and attention to detail. 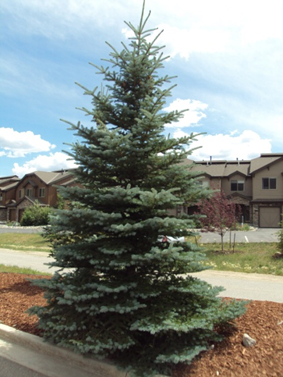 Your trees will be managed by a Licensed Applicator. Please contact us for a FREE ESTIMATE of your Colorado mountain property. We would greatly value the opportunity to work with you in protecting your trees.